FR : Plasmic Strands, 2018. Cyanotype (à motif des photographies microscopiques du cerveau d’un rat et photographies macroscopiques des racines de l’arbre ficus magnoliode (Palerme, Sicile)), pigments japonais iwa enogu (verre écrasé), et pigments naturels provenant de la terre française et italienne, huile de lin sur toile 100cm x 75cm. Collection privée, Paris, France. Installation of Plasmic Strands, part of the exhibition How to Capture Flow, Fondation des États-Unis, Paris, 2019. 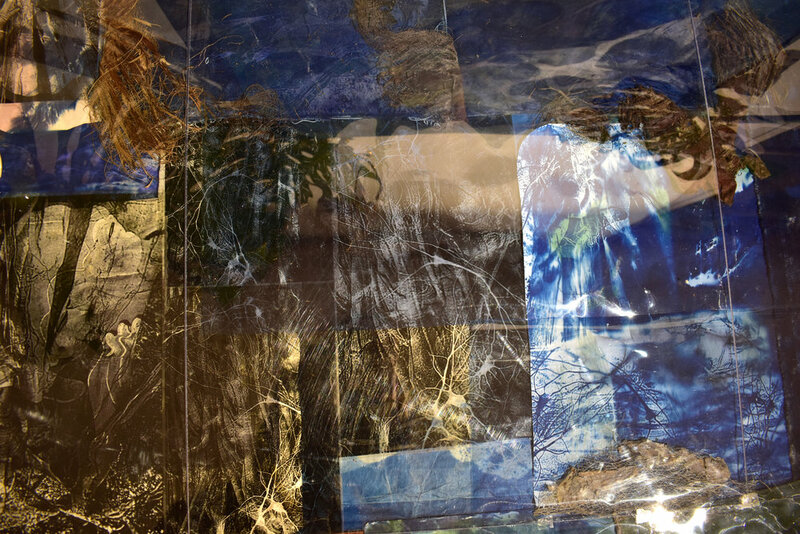 The work is presented with the processes that generated it (negatives used to make cyanotypes incorporating superposed tree roots (ficus magnolioide tree, Botanical Garden, Palermo, Sicily) and rat hippocampal neurons). 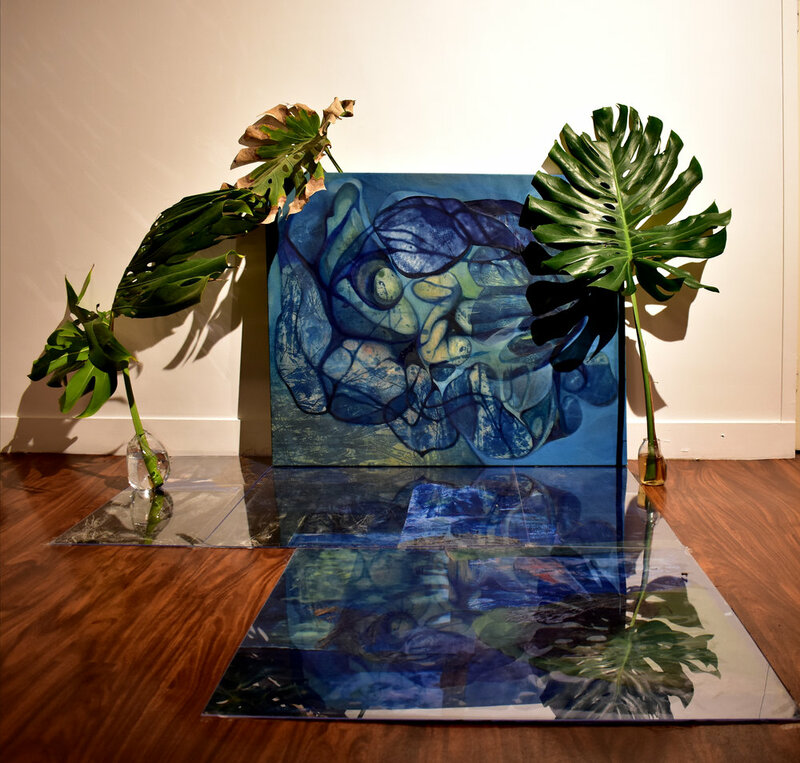 Palm tree bark collected in Palermo, Mallorca, New Orleans and Madrid along with aracae leaves from the Jardin des Plantes in Paris, are interwoven into the plexiglass composition that is covered with a blue film. 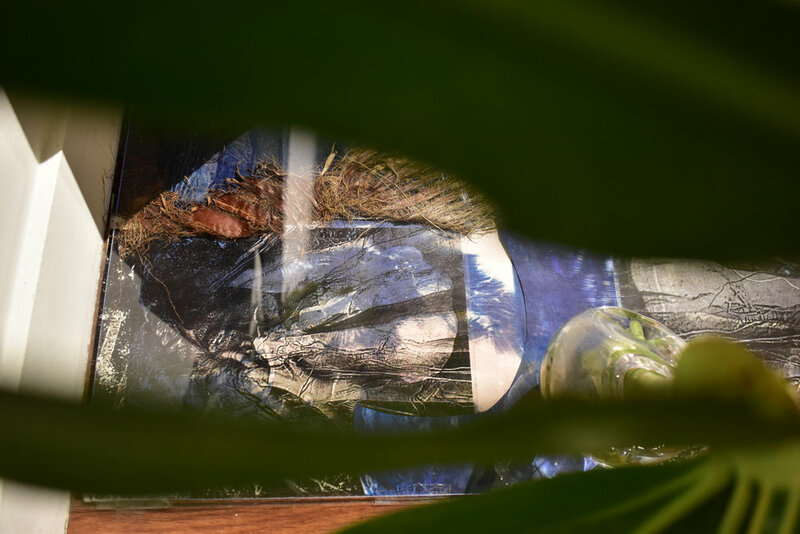 Live philodenron leaves held in hand-blown glass vases are positioned so that their shadows interact with the forms within the painting. 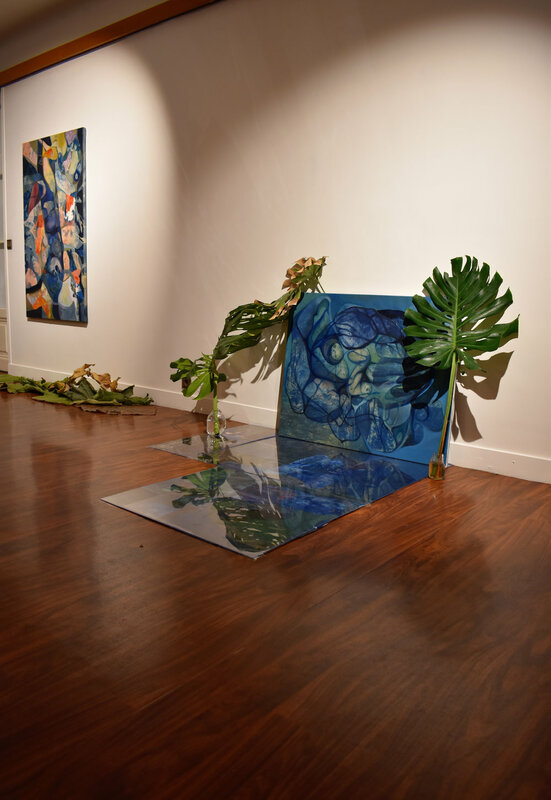 The cyclical movement of the cellular-like forms in the painting respond to the reflexions of the philodendron leaves on the plexiglass.